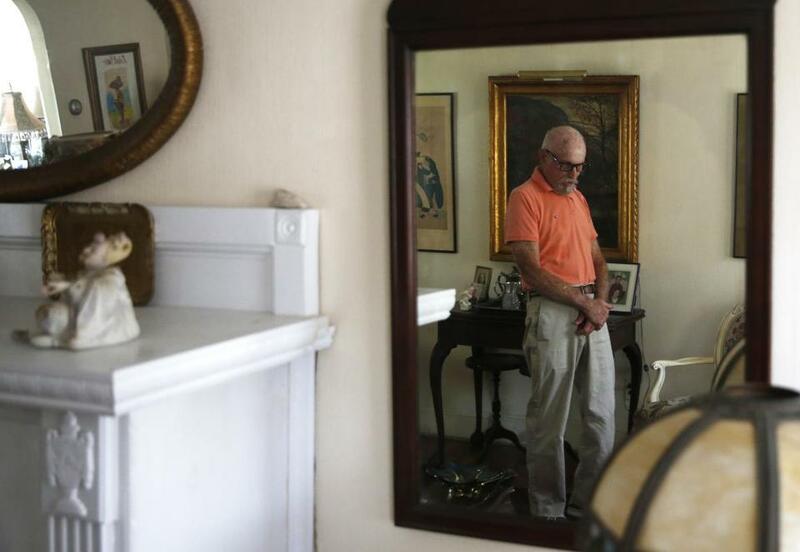 Murray Cooper, 94, and his wife, Ila, still live in their West Roxbury home despite health issues. 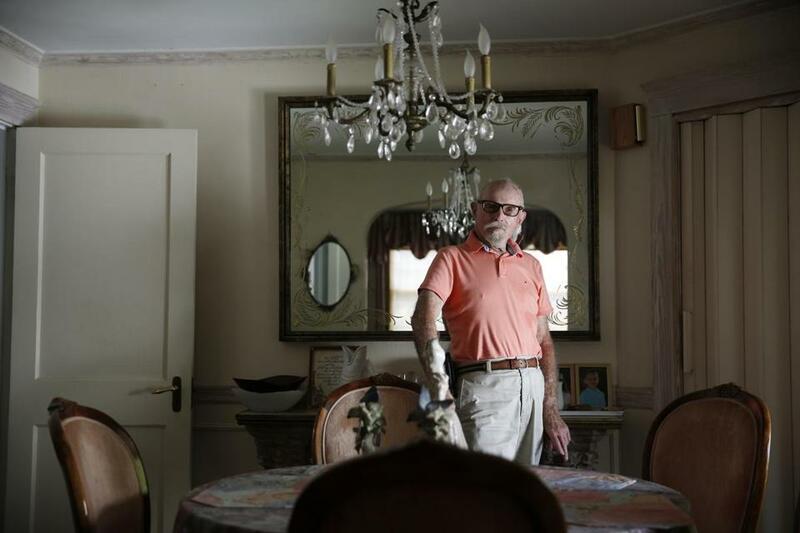 Len Fishman, director of the University of Massachusetts Boston’s Gerontology Institute, was talking about an urgent issue in a society that values “aging in place”: deciding the right time to leave your home and move into housing for seniors. Make the move too soon, and you lose an important part of yourself. That’s one fear. But wait too long — until your physical or cognitive state has greatly deteriorated — and any place that’s not depressing won’t take you. That’s the other fear. “It’s a real pressure point,” Fishman said. Many older people are happier after moving to a place where life’s chores are eased, activities and social opportunities are on site, and a van goes right to the grocery store. But with horror stories about elder abuse at facilities seared into the public’s mind, and prices that can run $10,000 a month or more, the specter of moving into an old persons’ home — even if it’s not called that — can cause stress between older parents and their adult children, between spouses when one is healthy and the other isn’t, and of course for the seniors themselves. Cooper is a World War II veteran, retired clothing designer, and, until recently, a skier. He has lymphoma, and his wife of 72 years, Ila, has memory issues. They live on the top half of a two-family in West Roxbury. There’s no elevator, but he installed handrails on the staircase. It’s sad to think older people would have to prove themselves to get into a facility or worry about a waiting list — as if they were trying to get into college — but that happens all the time, said Kate Granigan, CEO of LifeCare Advocates, a Newton-based firm that helps seniors and their families manage care. There are several types of housing for seniors. In an independent-living community, seniors buy or rent a unit with a full kitchen and a parking spot. The screening process varies, but in general, residents need to primarily care for themselves. These are typically private-pay communities. The third level is skilled nursing, or what’s called a nursing home, which is generally covered by private pay or Medicaid (once your funds are exhausted), although some high-end nursing homes are private pay only. For those who want all three on one campus, there are continuing-care retirement communities. With the stakes so high — and happiness on the line at a vulnerable stage of life — tension is rampant. Kathy Vines, a professional organizer from Melrose, regularly gets calls from her 74-year-old mother in Florida, agonizing that if her father’s numerous health conditions worsen and he needs to shift from the walker he uses now to a wheelchair, no assisted-living facility will take them. Whether or not the “walk-in test” is real, it causes a lot of stress. In the South End, Anne Lower feared that her mother, 85, would have a debilitating fall in the three-week period after her parents put down a deposit for an apartment on an active floor in a retirement community and before they were slated to move in. An entire industry has grown up around the need to help seniors negotiate their needs as they age. And with 10,000 baby boomers turning 65 each day and the elderly living longer, the geriatric-care management industry is flourishing. In 33 years, the Aging Life Care Association (formerly the National Association of Professional Geriatric Care Managers) has gone from 50 members to around 1,800, according to Samantha Colaianni, manager of marketing and membership for the trade association. At prices that range from about $125 to $225 an hour in the Northeast, according to Anne Sansevero, an association board member, care managers can advocate for a longer stay on a patient’s behalf when a hospital discharge feels too soon. Because many have nursing or social work degrees, they can assess a senior’s overall health and cognitive state and evaluate home safety. When a daughter flies in from out of town because her mom’s had her fifth ER visit, a care manager can help find rehab or home-care or housing options. “That local knowledge is important,” said Sansevero. And when a parent in failing health doesn’t want to leave his home, and the adult children are reluctant to push, care managers can play bad cop. But sometimes it’s not the older adult who is clinging to a lifestyle that no longer works. In Dedham, Mitch Heller listed the activities his mother has been enjoying since she moved from NewBridge On the Charles’s assisted-living program to its long-term chronic care center — concerts, bridge, and movies among them — and said he wished he’d accepted her declining condition sooner. “I wasn’t ready,” he said.